An Islamic State group suicide bomber kills at least 20 regime troops in Hasakeh city in northeast Syria. 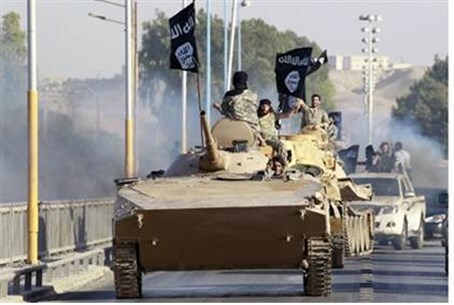 An Islamic State (ISIS) group suicide bomber killed at least 20 regime troops in Hasakeh city in northeast Syria on Friday, the Syrian Observatory for Human Rights monitoring group said, according to the AFP news agency. "The attack by a booby-trapped car targeted the criminal security service headquarters in the south of the city" where deadly clashes have been under way since Thursday, the Britain-based monitor said. The attack came hours after the Observatory said ISIS had killed 164 civilians in its offensive on the Kurdish town of Kobane, describing it as one of the jihadists' "worst massacres" in Syria. The killing spree, which took place mostly inside Kobane itself, was widely seen as vengeance for a series of defeats inflicted on the jihadists by Kurdish militia in recent weeks. At least 120 civilians were killed in a 24-hour rampage on Kobane, and another 26 were executed in a nearby village, the Observatory said. The bullet-riddled bodies of 18 people -- including children -- were found on Friday morning in the streets of Kobane, is noted, adding that they had been shot "at close range". "The body of one child bore the impact of five bullets," it said. The assault -- in which 42 ISIS fighters and 10 Kurds also died -- began on Thursday when three IS suicide bombers blew up vehicles at the entrances to Kobane, a symbol of Kurdish resistance. Women were also among civilians whose bodies were found in their homes and on the streets, the Observatory said.